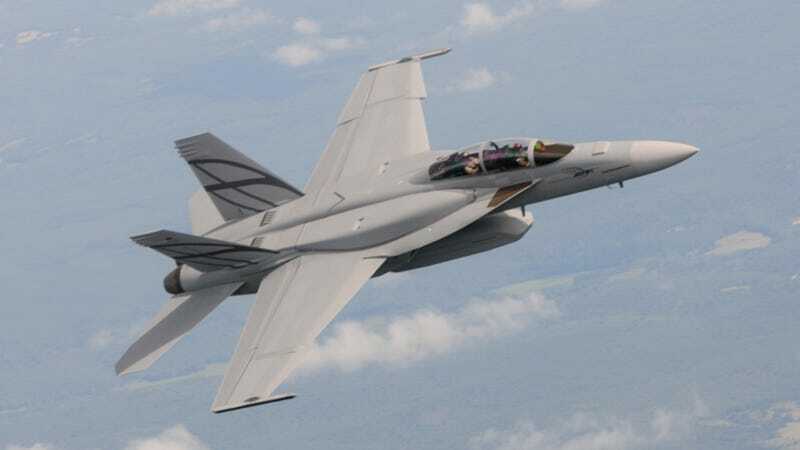 The F-35 was a bad plane, and it was supposed to be replaced with a magical F/A-18 Super Hornet-based magical fantasy jet, but now it is a good plane again. Boeing still wants to sell its F/A-18s though, so it’s got a new strategy: the thing is cheap! Now Chicago-based Boeing, which in recent years had backed off its efforts to keep Joint Strike Fighters off the decks of Navy aircraft carriers, is circulating a one-page white paper making a case for fewer F-35s and more F/A-18s. Boeing’s plan to sell less capable Advanced Super Hornets—a plane that does not exist in any production-ready form, and would not be as capable as the F-35—hinges on the money savings. If the government could save $1.4 billion a year, it could spend on a whole host of things instead, the thinking goes. And the Advanced Super Hornet would be Just Fine. On the other hand, the average annual defense budget for the past 20 years is $490.8 billion per year. So even if Boeing’s math checked out, the U.S. government would only be saving .2 percent of its budget each year. And the F-35 is only getting cheaper, as was originally planned many years ago. But maybe it won’t matter, as long as Boeing’s CEO is listening in on government procurement phone calls. Rest assured, this will not happen. If it does happen, I will eat an entire plate of baked ziti. I hate baked ziti.